Played college ball at Duke. Explosive running back, kick returner and defensive back. 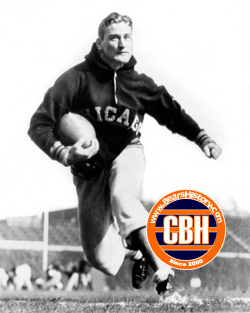 Drafted by the Eagles in 1940 and traded to the Bears. Fought in World War II in the United States Navy, cutting short his Bears career. Returned in 1945 and played through 1950. Elected to the Pro Football Hall of Fame in 1966. Died in 2009 at the age of 90.